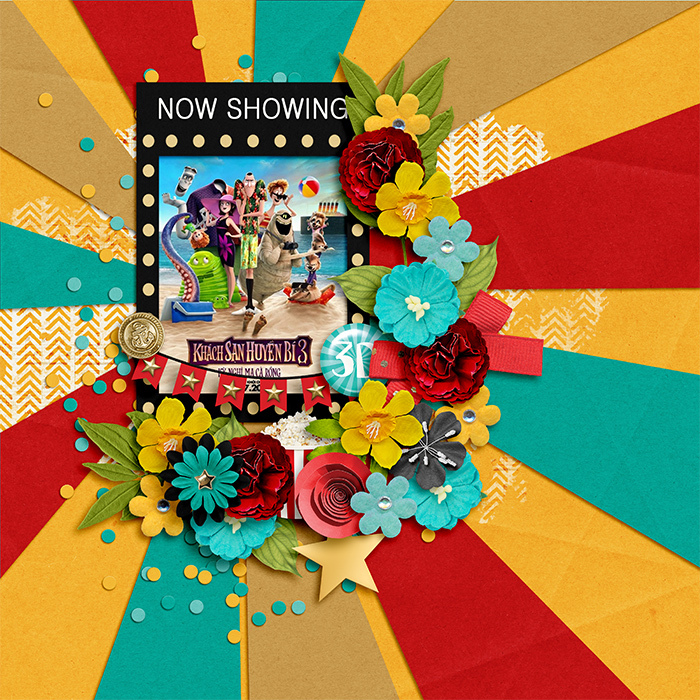 Kit Out and about - At the movies by Studio Basic & Grace Lee. Temp Life spectacular by Throwing Some Scraps Around. Love the rays of paper sticking out and your gorgeous cluster trailing all around the photo!! WOW! This layout captured my attention in the gallery - love the colors and that awesome cluster! Nicely done! I love that those bright colors draw the eye right in!